The ever-popular Shrek the Musical hits the Edinburgh Playhouse from Tuesday 12 December 2017 to Sunday 7 January 2018. Based on the Oscar®-winning DreamWorks Animation film, this wonderful adaptation of the children’s classic is sure to bring a smile to your face this Christmas. Following a record-breaking UK and Ireland Tour, the smash hit blockbuster is back – and larger than life! Join Shrek, Fiona and Donkey as they give new meaning to a plethora of fairy tales and folklore. This hilarious and spectacular production is the all-singing, all-dancing, must-see musical comedy of the year. Steffan Harri who is no stranger to the stage and screen has been cast to don the green ears of our favourite ogre. Harri has previously been seen in performances such as Hollti (Theatr Genedlaethol Cymru). He has also been the Combeferre and understudied Enjolras in Les Miserables (Queen’s Theatre). No role too big or small. We can not wait to see what he brings to the role of Shrek. 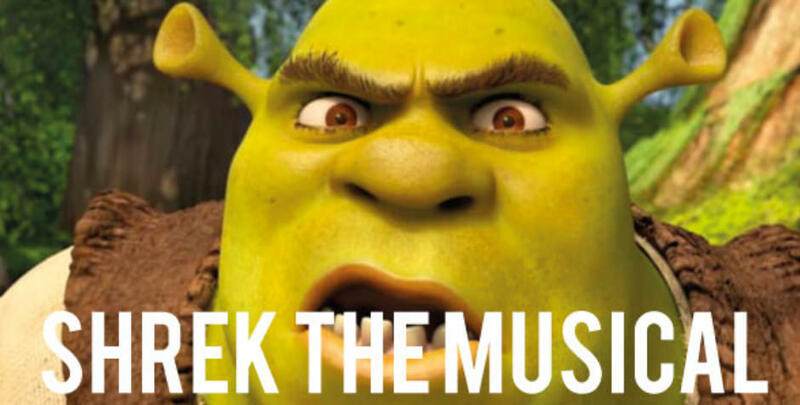 Shrek the Musical at the Edinburgh Playhouse is a ton of fun and the perfect way to start your Christmas celebrations. As you can imagine, this event is very popular and tickets are selling out fast. If you intend visiting Scotland’s capital city, please plan ahead. Accommodation at this time of year is in high demand. B+B Edinburgh is perfectly located with quick access routes to all the Christmas festivities. Contact us today to arrange your booking. Telephone: +44 (0) 131 225 5084 or Email: info@bb-edinburgh.com. We hope to see you soon.